Adam Bayley v. John Lee. 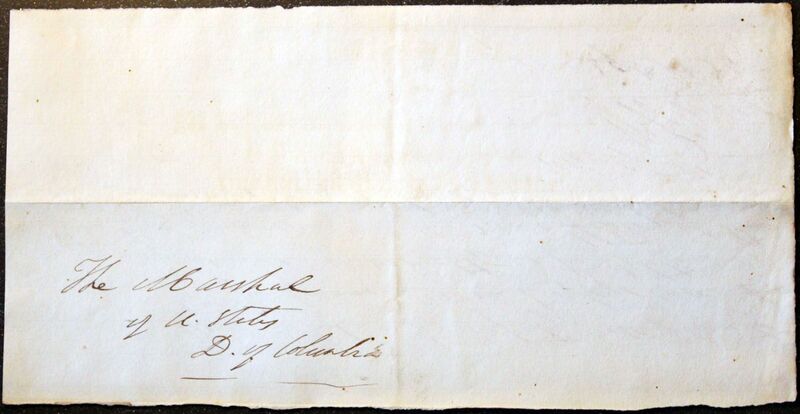 William I. Brent to the Marshal of D.C.
William I. Brent to the Marshal of D.C. 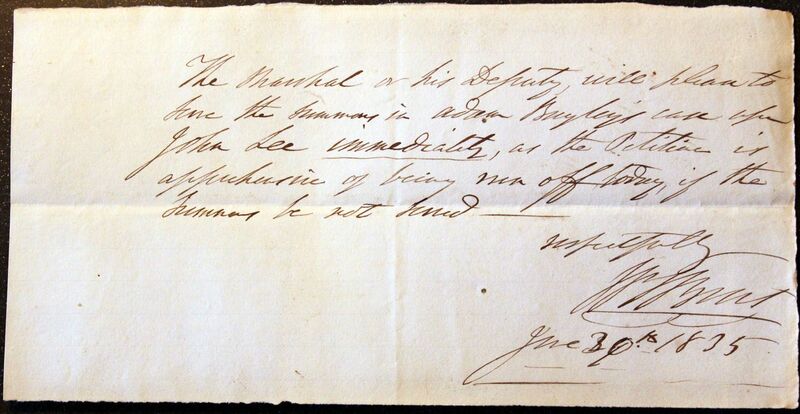 The Marshal or his Deputy will please to serve the summons in Adam Bayley's case upon John Lee immediately, as the Petitioner is apprehensive of being [illegible] off today, if the summons be not served.